Balance Studios Northeast Philadelphia is the second school in the Balance Studios Gracie Jiu-Jitsu/ Mixed Martial Arts chain. The original Balance Studios is located in Center City Philly and was founded in 2002 by the Migliarese brothers. 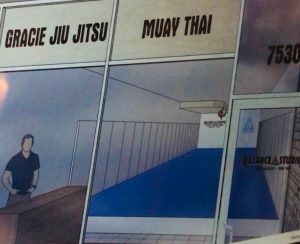 The Northeast Philadelphia location is owned by Frank Ambrifi, Phil Migliarese, and Ricardo Migliarese, all Gracie Jiu-Jitsu black belts and Mixed Martial Artists. 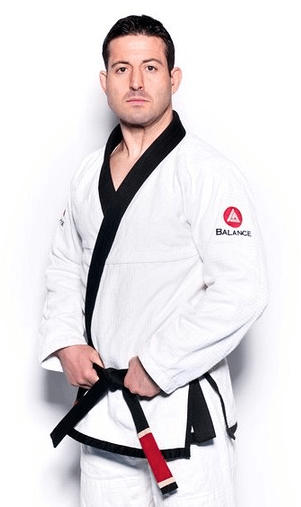 Northeast Philadelphia native Frank Ambrifi has been training Gracie Jiu-Jitsu since the 90’s and is the head instructor/manager of this branch. Frank Ambrifi is a 3rd degree Black Belt in Brazilian Jiu Jitsu under Phil and Ricardo Migliarese with over 25 years experience. Frank also has over 25 years of wrestling and boxing experience. He currently lives in Philadelphia, PA where he is the head instructor/manager at Balance Studios Northeast Location, which he co-owns with Phil and Ricardo Migliarese. Frank began his competition career in wrestling at the age of 14 at George Washington High School. By his senior year, Frank had earned the respect of his teammates and coaches to become the captain of the team. After graduating from high school in 1992, Frank joined the United States Marine Corps and continued to wrestle in their intramural system. He was also an Ironman Champion in 1992 & 1993. After his time in the Marines, and inspired by Royce Gracie in his win at the first UFC, Frank started training in Brazilian Jiu Jitsu with the Migliarese brothers. With a dream of opening his own studio, Frank spent much of his time honing his BJJ skills and studying the special techniques involved with teaching Gracie Jiu Jitsu. He wanted to bring top notch instruction to Northeast Philadelphia and would not pursue his goal until he received his black belt. Knowing that the Gracie self defense techniques can and do save lives is important to Frank and he wanted to ensure that his skill level was thorough enough to convey every detail of this system properly. In 2008, his hard work was rewarded by Phil and Rick with approval from Relson Gracie who had also been overseeing his training through the years. He then focused his energy on building a new Balance location, bringing Gracie Jiu Jitsu to the Northeast section of Philadelphia. Frank follows the Balance Studios Leadership Program model with an exemplary level of personal attention to his students and their instruction, setting this school above and beyond all others in the Northeast.